I like to read. I especially like to read Christian fiction. 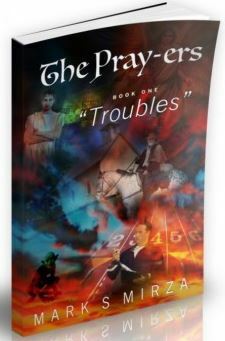 So when I found out about a new novel written by Mark S. Mirza and published by CTM Publishing Atlanta called The Pray-ers / Book 1 Troubles, I immediately went to the website to find out if it was something I wanted to read and review. After reading the synopsis and watching a YouTube video of the author talking about his book, I thought it looked like an interesting book and one that I would enjoy reading and reviewing. Members of the Homeschool Review Crew had the choice between a paperback ($23.95) or an ePub download ($4.99). I prefer to read books on my Kindle (scandalous, no? 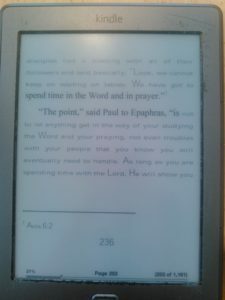 I just prefer the lighter weight of the Kindle over a book), so I chose the ePub. I was so surprised when the email arrived and it was over 1100 pages! But as I started reading, it wasn’t such a big deal; the pages were only about a third the length of a normal ebook. As the leader of a men’s ministry in Atlanta, Mr. Mirza started Common Threads ministries to teach individuals to pray. He also coaches men in starting their own prayer groups. He wanted to write a novel to help people to pray because he preferred books and novels that taught him something in the process. Even with a lot of Christian novels, that doesn’t always happen, so he decided to write his own. Because his focus is prayer (even though it’s something he admits doesn’t come easily to him), his debut novel is the first in a series that teaches Christians to pray more effectively. “If I can teach prayer through the fun of a novel, then THAT’S what I want to do,” he says on his website. Troubles tells the stories of three men living in three different eras: Epaphras (from the first century), Alexander Rich (a contemporary of Dwight Moody living in post-Civil War Georgia), and Dr. Dale (modern times). Each of these men faces adversity in their prayer life and find themselves having to rely heavily on the Lord to overcome these problems. There’s a fourth point of view explored in this novel, too: that of the demons who are causing all the problems for these upstanding men of God. The book shifts around to the different times and places, and it does it well. One chapter might focus on Epaphras, and the next on Dr. Dale. Following that, we’ll follow Alexander Rich, and after that, the demons will make an appearance, plotting their attack on Dr. Dale. (The men from the previous eras are mostly there as examples of the demons’ past attacks.) All throughout the novel, in all the different eras, with all three different men, we see how the fight the adversity caused by the demons and how their prayer life is all the better for it. A sample of the random font differences. This picture also shows how footnotes are used in the novel. I liked this book just as much as I thought I would. 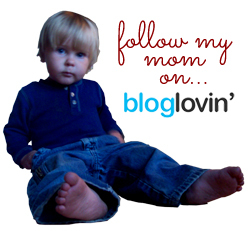 When I first started reading, I was a little confused by a word: katepa. I tried using my Kindle dictionary to learn the definition, but it wasn’t there. As I kept reading, I realized that this wasn’t a normal word; it was the name of one of the demons. The lack of capitalization had confused me. Thinking about it, though, I think the author was doing a good thing in keeping demon names (including satan) in lowercase. Even though it takes some getting used to as you read, it’s important not to give those creatures the respect of a capital letter. It’s mentioned in the forward that the author chose to use lowercase letters for demon names on purpose, but with virtually no introduction, it was still tricky to realize that that’s what was happening the first time. My other issue was with the ePub itself, and it’s possible that there was a glitch with my particular Kindle, but there were random letters, words, sometimes full lines that were in a completely mismatched font to the rest of the book. That aside, I found this novel quite enjoyable to read (when I turned off my “copy editor’s brain,” that is – but I’m not going to go into that today). I really liked how there were footnotes to scripture references whenever Mr. Mirza wrote about a biblical concept, even if he wasn’t directly quoting the scripture. I think this book would make a really good Bible study basis for an adult or teen group. It is enjoyable to read, and the scripture references would make for a compelling unit. If you enjoy reading Christian fiction and want to learn more about prayer while you read a novel, give The Prayers / Book 1 Troubles a chance. I don’t think you’ll regret it.